Sight glass finally came in. Well I did expect it to soot up, but it began this much faster than I had anticipated. So I think im going to install the tighter grate to lean it out some, I think that will be a big help. But regardless, it will need a means of easy access for cleaning. That will require some redesign to make happen. Also this hopper on the angle is a no go. 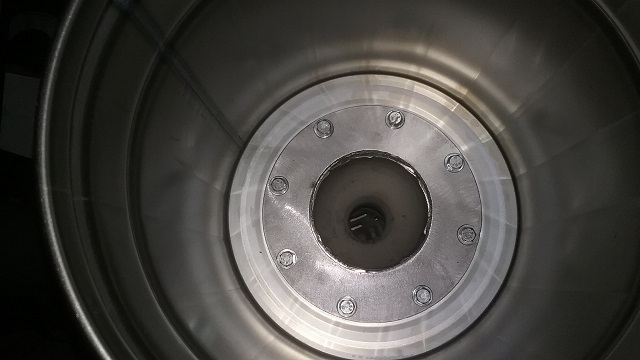 When it gets low and begins to burn out, its like a gasifier and the smoke condenses and is leaking out the lid seal. So I am going to design this version so its straight vertical and also add a vent to vent some of that moisture out. So today I tore it back down and clean out the sight glass. 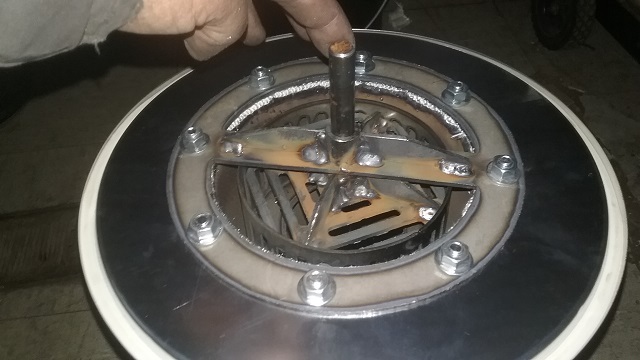 Then when I put it back together I inserted an SS screen inside the sight glass tube. So far this seems to be working but I just fired it up, so need more time. However, yesterday it started right away. This time I dont see anything on the glass yet its been about a 1/2 hour. The screen is turning black and this is ok as long as you see through it. It it works then we could make a mini chimney sweep to brush the screen to clean once in a while. 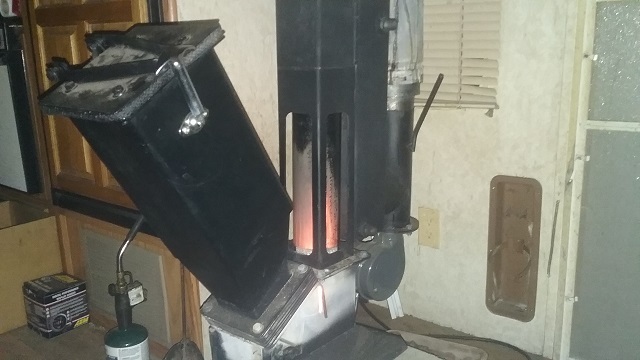 Hope this works cause this is a really cool feature of this stove. Well the screen did seem to slow it down, but still not enough. So Ill have to experiment some more, but this will need to be put on hold. 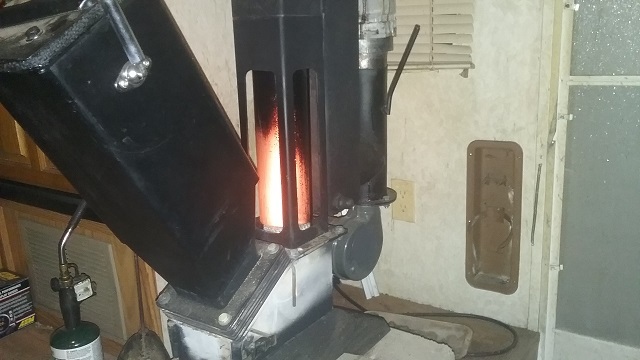 Im going to forge ahead with out it for now and make the revisions to simply make it function as intended with out the sight glass. 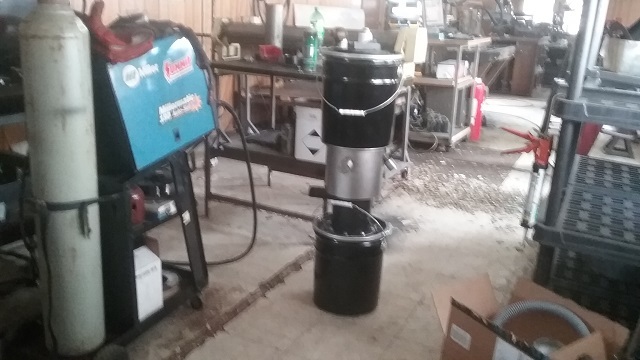 I have another low buck gasifier planned and need to put some time into that for this spring. 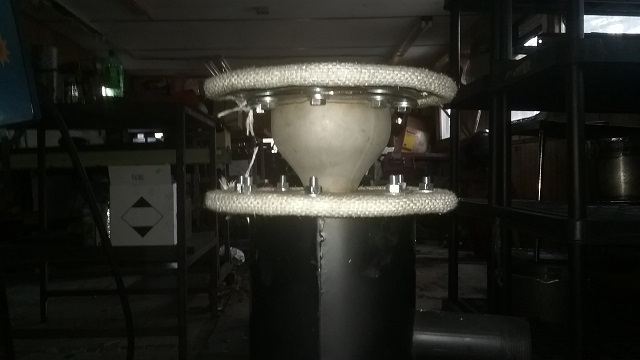 This one should be simple, affordable and easy for us to manufacture at low cost. I have parts on order to build the kit. But like a previous kit I tried before; it will require some DIY and some additional purchased parts. More to come on that here very soon. Well Ok now it decided to clean itself out lol. Stupid thing make up my mind!!! Ok so I think I need to improve the combustion and flows. This I already have plans to fix. It has an issue with ash accumulation just below the grate after its ran for a while. This cause some flow interruption. Then this is much like a gasifer where its accumulating hopper gases with wet fuel as a result when the fuel levels get low. So this with a combination of the lower flows issue is causing to cold combustion and soots. Yeah I had just refilled the hopper and that new feul started to process and she took off. As I was just sitting here I noticed it started clearing a hole. So I kept stoking it up and it nearly fullly cleaned the glass. So not ready to give up yet. Is there a cleanout tray to empty while it is running? Yes there is supposed to be a removable tray, but on this one I got lazy and just made a door. Ha! That is where a little hand crank auger would come in handy. Don, you know if Matt puts an auger on this, he’ll have an Arduino to automate it to cycle it every 6 hours. Maybe that’s a hint. Well I was trying to avoid any electrical operation with the exception of the draft blower for faster start ups. But that is optional in not required. 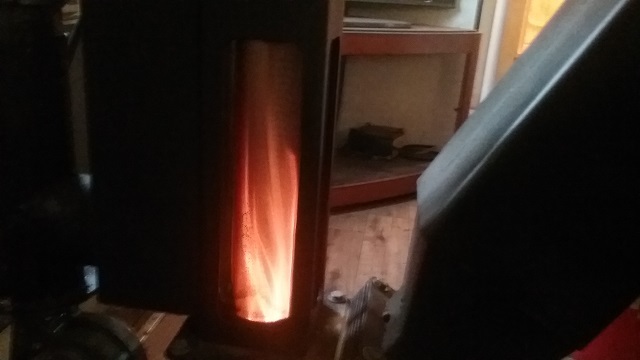 For its intended deign purpose this stove works quite well and will have the versital features Ive designed into it. 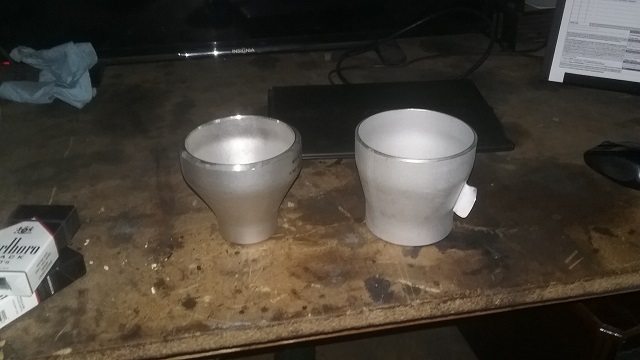 The sight glass however may go away on this version and Ill just call it good. 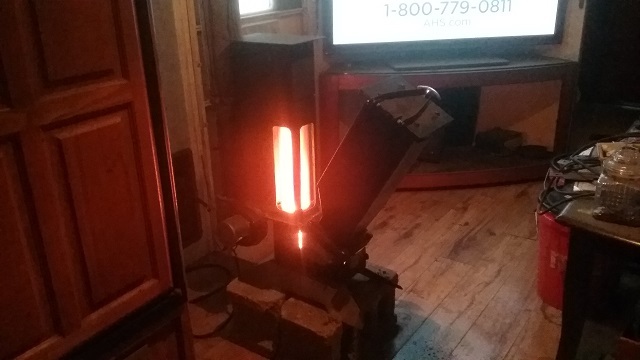 For a simple cook stove converted into a full on heater its does ok. However hahaha. Next version of this will be a dedicated indoor stove. I am going to design this so the glass is out front and the hopper will be at the back with twin heat exchangers wrapping around it heating it. That should help with the moisture in the pellets. This will have sort of a shoot coming from the primary grate leading under the sight glass to a tighter grate. 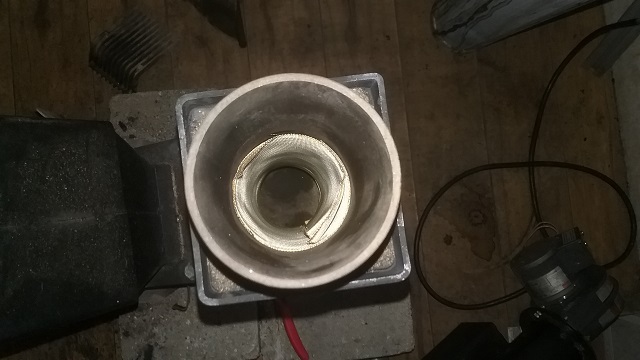 Secondary air will feed up through this grate and fully burn off any char pellets that cant get through, All ash will sift through this grate into a tray for removal. Of coarse CAD model first and then build. Right now Im designing a shipping container home, using three 20’ containers featuring a loft. This is a very detailed model, it has the containers built exact to the real things, all the truss and stick construction and flooring. Right now Im creating all the dry wall panels and installing those. This model is just about as much work as building the real thing. Im glad Im building in model space first, I would have messed it up a lot and it would have had to make due with mistakes. Model of that will come soon, I may get an architect to approve these plans and offer them later on. Here are some snap shots of the container home. Its a little over 500 sq ft including the loft. external walls are hidden to see inside. I still have to punch holes an walls for windows and doors yet. Hi matt is this going too be your house in time or are you building a house on the property you bought for the shop, ?. I need to purchase some land that will allow it. I may end up having to fully stick build it. Well been busy moving once again, This last place didnt work out for us, so we moved to a better place. There is business behind us that manufactures wood chips. There are mountains of them!! So now that things are back up and running, I started on the development project I was working on a while back. This version I am building for now may serve a two purposes. 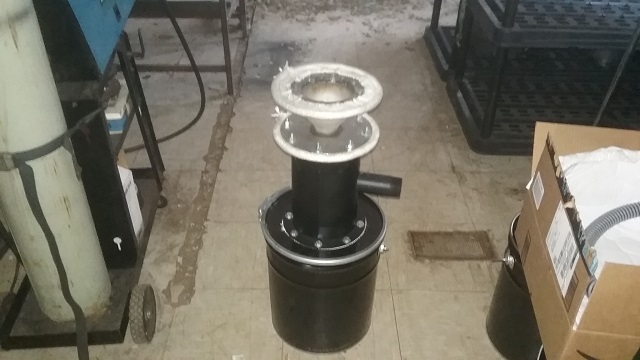 One to give me test bed for development and possibly a kit version for a low buck gasifier. For now I have to finish the build, get some engine run hours on it and then I may offer it in kit form. This version will allow a stacked two stage reactor set up, but first Im just building it in a single stage and ill optimized the jet ring spacing for pellets. I have larger hearth bowls to experiment with chips as well. 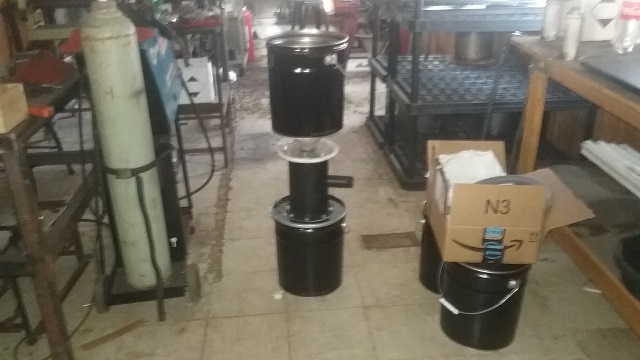 So the gasifier is now pretty much complete. The Hearth jacket I do need to redesign a bit. It needs to be made out of steel so we can welds the ports on better, Ill form an SS band to make it all pretty. But that whole thing worked out well with the seal arrangement I have. Hopper lid is done so it will have a puff back lid so its safe to be around lol. The filter will have the same deal. 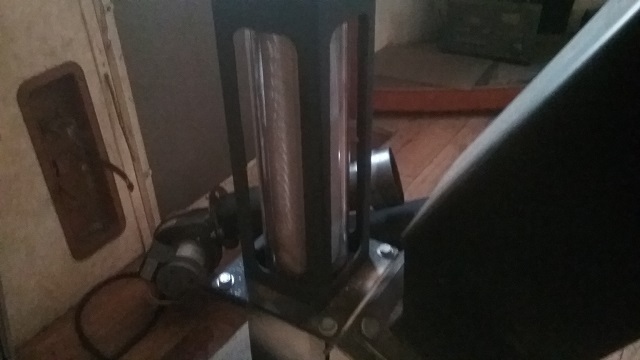 Its very light weight, I can only guess but I think it weighs somewhere around 25 lbs. Not heavy at all. 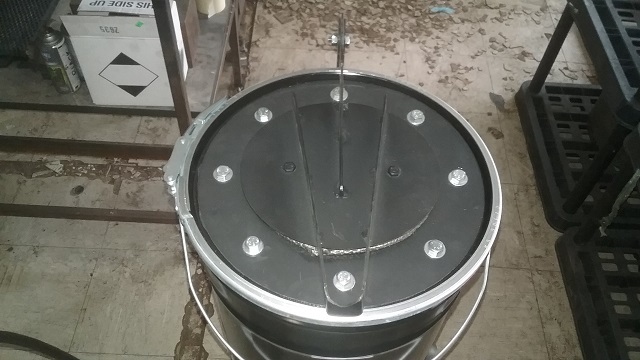 Whats kinda cool is the ash bin (bucket) when it gets full you simply remove the band clamp and remove the unit from it and its simply a bucket full of char. You could then easily take it some where and dump it. Or if you had other buckets you could put a lid on it and use another bucket. Save the char for a charcoal unit. 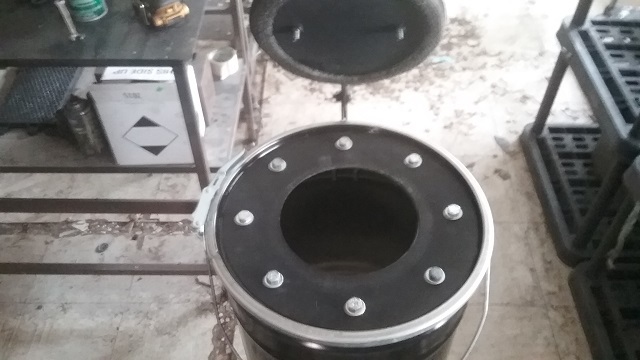 I struggled for about 6 months with tar gluing the puff lid gasket. 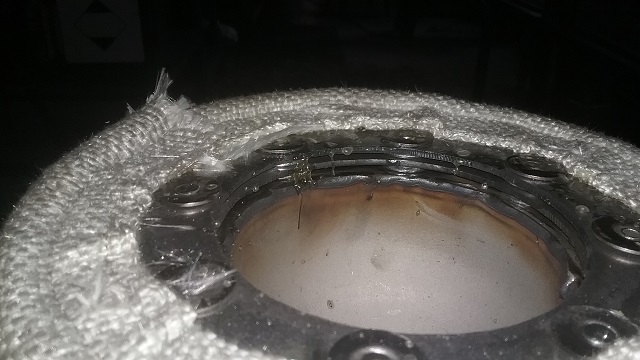 Then when it was opened it would damage the gasket. 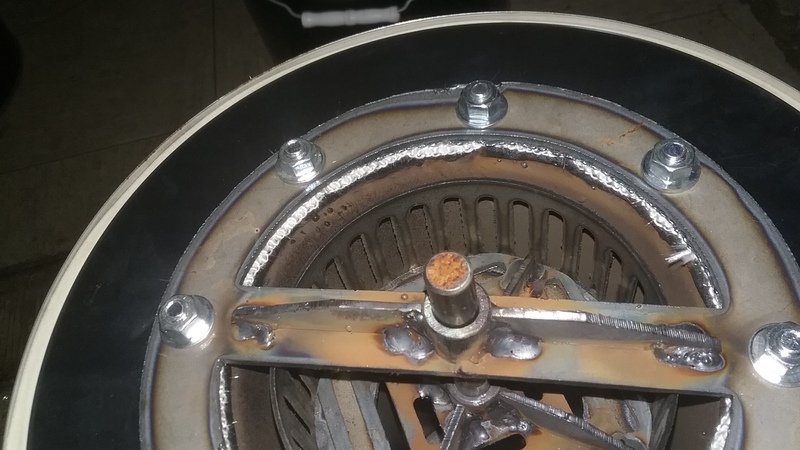 The solution was to make 2 - 1/4” concentric rings and tack weld them to the hopper with about 1/2” gap filled with silicone. The puffer lid then seals to the silicone which is held securely by the 1/4” rings. can you explain that a little more. I’m not getting it.